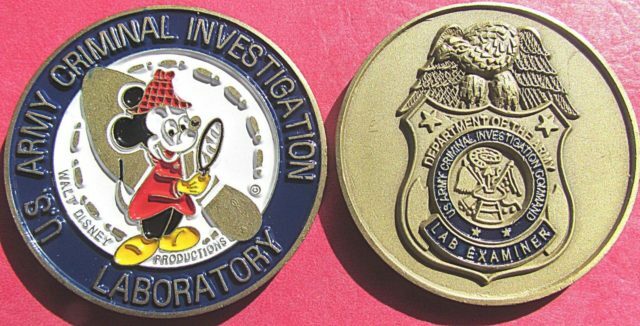 Back in March of 2017, we reported on a second variety of a challenge coin for the U.S. Army Criminal Investigation Laboratory. We now have a THIRD variety to report. It is virtually identical to the one we reported on in March 2017, with the exception that this example is colorized and the previous example has no color at all. At that time, we speculated there could be additional varieties due to titles on the badges on the reverse of the challenge coin. We didn’t expect to find colorized and non-colored examples.